Pioneers in the industry, we offer box stitching machine, box stitching machine parts and semi automatic stitching machine from India. 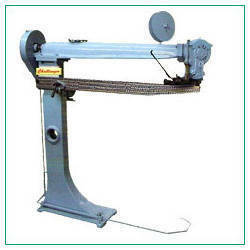 The machine is sturdy, compact design and simple in operation and maintenance. 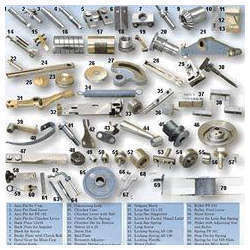 The components are made of highest standard of appropriate metals and given precise heat treatment. The machine is perfectly accurate, the parts are interchangeable. The machine operates speed of 300 stitches per minute. Arm Length: 20", 30", 36", 42", 48" & 60"
We are engaged in supplying and exporting the Antiscalants For R.O Plant.These are manufactured by us which are been specially designed to remove scale as well as decreasing fouling in membrane system, regardless of feed water sources. We also provide a quality pw Ro Anti Scalants, RO Reverse Osmosis, that are specific for reverse osmosis membrane effectively, while controlling deposition of inorganic scales. These products are manufactured in compliance with the international quality standards. These RO plants, water purification plants are widely acclaimed for its effectual performance and high efficiency. 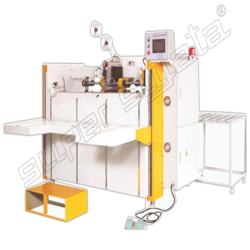 Looking for Stitching Machine ?